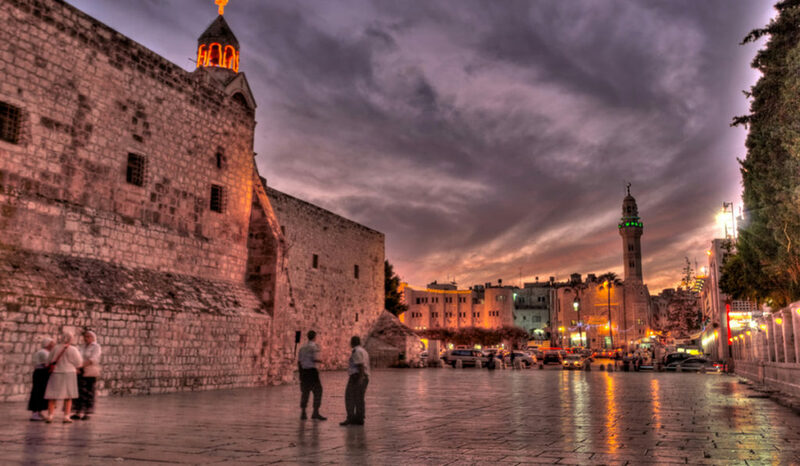 5 Days Jordan & Jerusalem Tour. Discover the Rose Red City lost for centuries to the outside world. Walk through 4,000 years of history in this amazing city. Cross into the West Bank and visit the site of Jesus’ birth. Meet & assist at Queen Alia Airport by our representative, and transfer to Amman. After breakfast, drive south Jordan via desert highway to Petra. 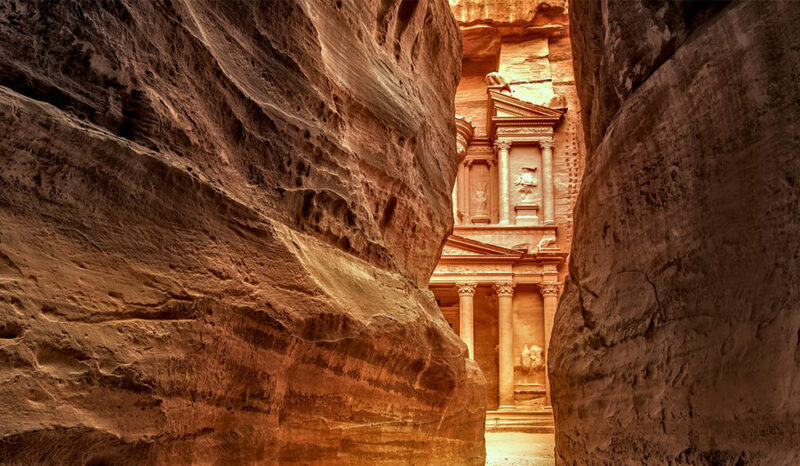 Visit Petra the home of the Nabataea’s; the complete city carved in a mountain with the huge colorful rocks that called “the red rose city”. The tour will start by crossing the “siq” lined with mountains in multiple colors up to the treasury; the pride of all Jordanian, The royal tomb, theatre, the high place of sacrifice and roman soldier tombs. After tour ends, drive back to Amman. After breakfast, transfer from your hotel in Amman to Allenby border( using normal shuttle bus or VIP services ) to cross to Jerusalem. Drive to the Mount of Olives for a wonderful view of Jerusalem. Then go to the Peter Noster with the Lord’s Prayer in different languages. From the Mount of Olives the traditional Palm Sunday route takes you to the foot of the hill and sees the Garden of Gethsemane with its ancient olive trees. Enter the Old City through the Dung gate to visit the Wailing (or western) Wall and view the Haram Al Sharif with the Al-Aqsa Mosque and the Dome of the Rock. Leave the city through the bazaars to the west by Jaffa Gate. Drive through West Jerusalem to see the various landmarks. Day 4: Bethlehem, Shepherds Field - Allenby border - Amman. Then into Bethlehem to see the Church of Nativity. Onto the Shepherd’s Fields in Beit Sahour. A chance to visit a site such as Mahane Yehuda Market, Yad Vashem (the Holocaust Museum), or the Israel Museum (where you can see the Dead Sea Scrolls). Please discuss your preference with your driver or guide, and note that museums can shut early on some days. 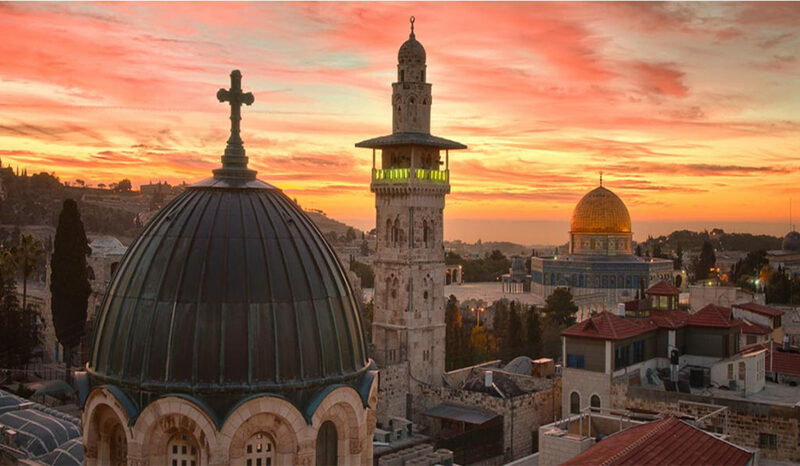 Then drive through the New City of Jerusalem and visit the various landmarks. Drive to Allenby border (using normal shuttle bus or VIP services ) to cross to Amman. After breakfast, transfer to Queen Alia Airport for departure. Based on sharing twin or triple standard rooms, subject to availability. Breakfast includes. Entrance fees to the mentioned sites in the program. 4 nights’ accommodation includes bed and breakfast sharing twin or triple standard room. (Single supplement applies if you want a single room). Transport by experienced English speaking driver in air-conditioned vehicle. Government Licensed malty speaking tour guide in Jordan for group of 5 persons and more. Government Licensed malty speaking tour guide in Jerusalem. Jordan collective visa for groups 5 persons and more (full passport details must received prior arrival). Portage at hotels and airport. 1 small mineral water per person per day. Any services not mentioned in the program. Visa fee to Jordan ($USD 60.00) per person for individuals (– 1 4) persons. Departure taxes (15$ pp at land borders). Airport tax is usually included on air-tickets. Taxes subject to change with no notice. Exit tax out of Palestine/ Israel: NIS 182 pp (approx $52 pp – subject to Change). Transfers between the Israeli terminal and the Jordanian terminal. Cost of shuttle bus is JOD 7 pp ( $10) plus JOD 1.50 ($2) per piece of luggage each way. Tips for driver, guide and hotel staff.